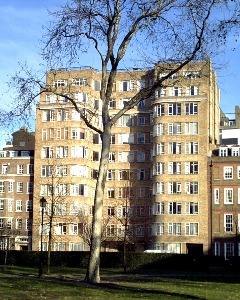 This apartment block is used to indicate the home of Poirot in the TV series. 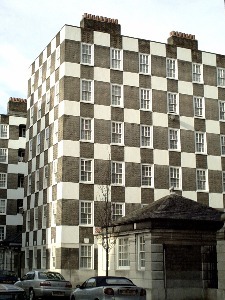 Unusual chequerboard flats with shop pavilions designed by Edwin Lutyens in 1928-30 for the LCC. A sumptuous Art Deco house was added to the restored Great Hall of the medieval palace by Seeley & Paget for the Courtaulds in the 1930s. 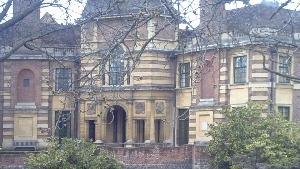 It is now in the care of English Heritage who have refurnished the interior and open it to the public.